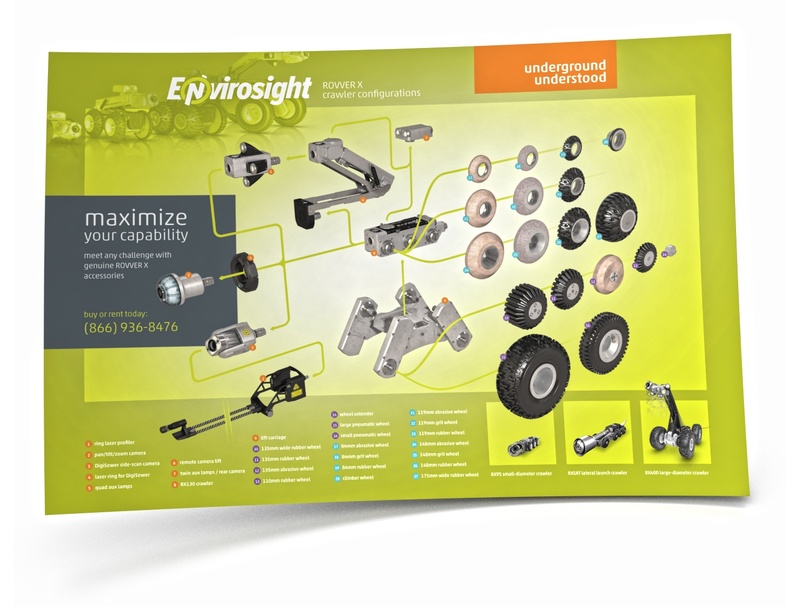 FREE Poster Shows Why ROVVER X is the Most Capable Inspection Crawler Platform. With many wheel options—plus a detachable lift, carriage, and auxiliary lamps—ROVVER X is the only single system that lets you inspect lines 4-96" diameter. This FREE poster illustrates the different configurations possible with a ROVVER X system, plus support for technologies like lateral launch, side scanning and laser profiling. The poster is an ideal reference for any municipal office or inspection van. Send us your address (in the U.S. or Canada) and we’ll mail you one for free.